What’s the best way to learn how get a feel for the mobile food scene in your area? Start talking to the most experienced and successful vendors in your area of course! Fortunately, Bethany Inman, Sales and Events Director for Moose Truck Food Truck was kind enough to share her advice about operating a food truck in the fine city of Kansas City. In this Q/A, Inman gives straight shooting advice on what it takes to build a profitable operation that keeps people coming back for more. FTE: How long have you been operating the Moose Truck in Kansas City? Bethany: The Moose Truck Food Truck is in affiliation with the Blue Moose Bar & Grill under the K.C. Hopps, Ltd. Restaurant & Breweries umbrella. The Moose Truck is in its second season/year of events. The KC Hopps family is comprised of over 6 unique restaurant brands and currently 12 restaurant units. Beginning in 1993, we are locally grown, locally owned and pride ourselves in providing a great atmosphere, friendly service and scratch menus. FTE: Figuring out how to start a food truck business isn’t as simple as building a more traditional business in many areas. How did you figure it out? Bethany: Our board, who are all local foodies, have a love for Food Trucks. An opportunity arose and the business decision was made to purchase the truck. Then as any operation we open, we have many task items that we go through to start the business: staffing, marketing, licensing and much more. KC Hopps offers consulting work also. FTE: What are some of the unique elements of operating mobile food business in Kansas City? Bethany: There are a lot of sub-communities that have big businesses who like Food Trucks for events and catering. It is great to have so many sales opportunities close by. We of course love social events, like weddings, block parties, birthdays and graduations. FTE: What do you view as “challenges” to running a business here? Bethany: A lot of different licensing based on where you want to serve and where you can serve. This can also get expensive. It is also challenging finding the ratio of determining what public events make business sense. For example, most public events have a fee to vend or a percentage of sales they require after the event. Determining what events are profitable based on the anticipated amount of volumes of people, versus the times of service and how much you have to pay is not an easy calculation. Other variables like menu pricing, weather, labor and other vending competition can make or break your business. It gets expensive and can be a gamble and a risk. This is why it’s important to find other Food Trucks and Mobile Vendors and develop a relationship with them. For example, I am a member of Elite Street Eats. We meet regularly, discuss events, offer each other support and also do some joint events to promote who we are. Being a member of this group is so valuable and a great way to make friends in the community. 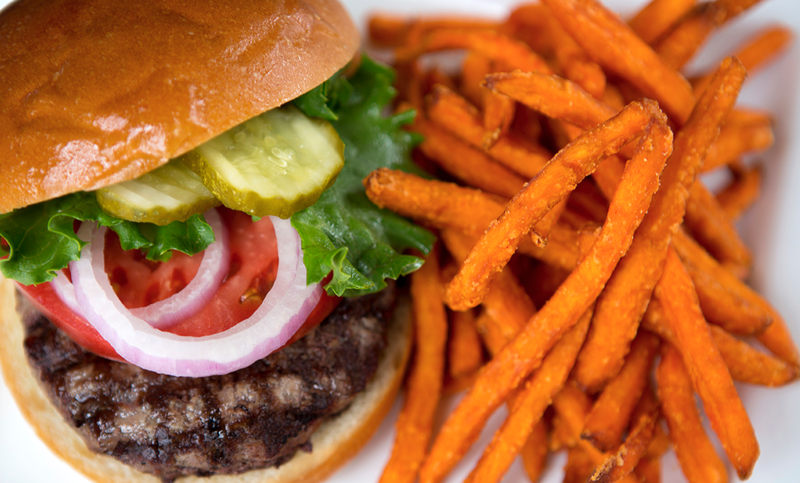 Yummy Food You’ll Find on the Moose Truck. FTE: One of the common gripes we get from food truck entrepreneurs getting started is figuring out how to navigate local health / fire code regulations. Where you Kansas City entrepreneurs go to find this information. Bethany: The internet. Google the “city of” where you are interested in. I would also start with the state websites too. The have links that guide you to applications and information. Also, we made some early friends who already had trucks in the community. Getting information and guidance from other already self-operating trucks goes miles. FTE: Any common mistakes you see being made in this area? Bethany: Its disappointing when others don’t respect the environment they work in. For example, dumping their waste inappropriately. If you follow the rules, respect your environment and other Food Trucks and businesses in the community, you will develop a good reputation. FTE: What’s the food truck parking situation like in Kansas City? Bethany: KC, MO has yearly mobile foodunit licensing, and they also have event licensing if you don’t do the yearly license. The streets are zoned for mobile food vending. This is available online and I have called in the past and spoken to city officials or local police to make sure we can park there. FTE: What’s the best general piece of advice you have for beginning vendors? Bethany: Be kind and humble going in to the game. There are a lot of Food Trucks out there, just like other local restaurants and businesses. We’re all here together in this community, while it is important to offer friendly competition, I have received more sales leads and events by knowing other business owners and networking with them. Support each other, have fun and make sure your product is fantastic! FTE: Anything else newbie food truckers should know about starting a business in Kansas City? Bethany: Be nice to the city and health officials, they are here to ensure we are safe. Work clean, it gets tight! Haha! Food Truck Case Study – In December 2013, Anthony Salvagno and his brother decided to start a food truck. This is their story. Kansas City Food Truck Association – This is the local food truck organization. If you’re serious about creating this type of business there is strength in numbers. An association can help you find more paying gigs and be in the know about events. 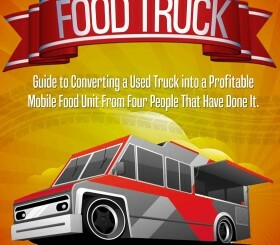 You’ll learn a lot by hanging out with the other food truck owners as well. Food Truck Mafia – Don’t be scared off by the name. The Food Truck Mafia is actually a friendly collection of local owners. Check out their website to book great local trucks like KC BBQ Truck, Eat Arepas and other local faves.